I recently had the opportunity to visit the SURF facility in Lead, South Dakota. While SURF is primarily a facility for physics research there are some exciting projects related to the Earth Sciences as well. I plan to continue our work on natural measurements of radon to study the surface area of fractures. 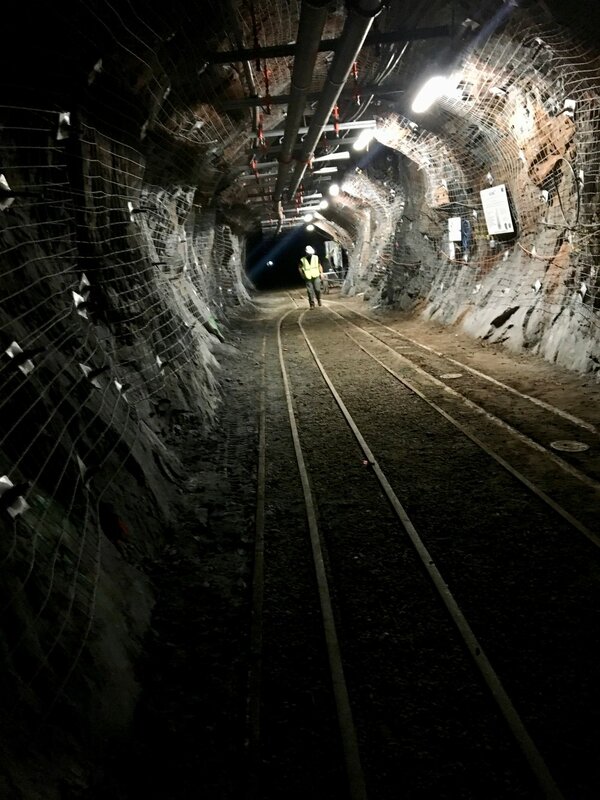 The Homestake mine produced 1.2 million kg (~2 million lbs) of gold between 1876 and 2001 and has a total depth of ~8000 feet below the ground surface. A view down one of the drifts on the 4850 level at SURF.